One Day in Bloom . . .
Sunday. Everyone outside, on the streets, walking, or on park paths, running. One hiking along the tree’s edge of the city met perhaps the first bloom of 2015. 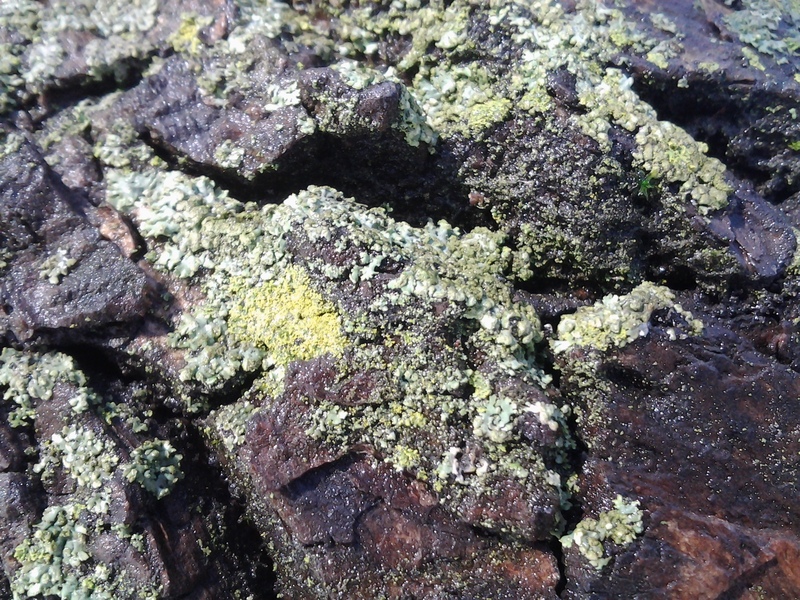 One day of sun bracketed by single digits, one day that touched 44 degrees Fahrenheit, still and bright in the air, brought the foliose lichen to bloom. 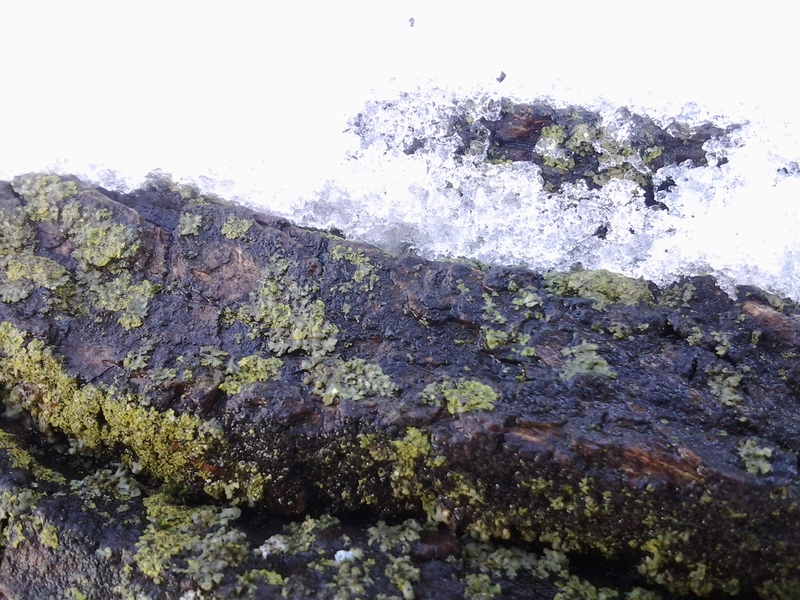 The leafy thallus of this tough, enduring pant gorged on cold melt from white snow crevices around the trunk. Extended colonies of varying density bloomed in shades of yellow just bright enough to capture my eye, not yet bored with winter brown and white, just happy for the brief broader palate to contemplate.